Oh Tuscany, La Bella Vita! 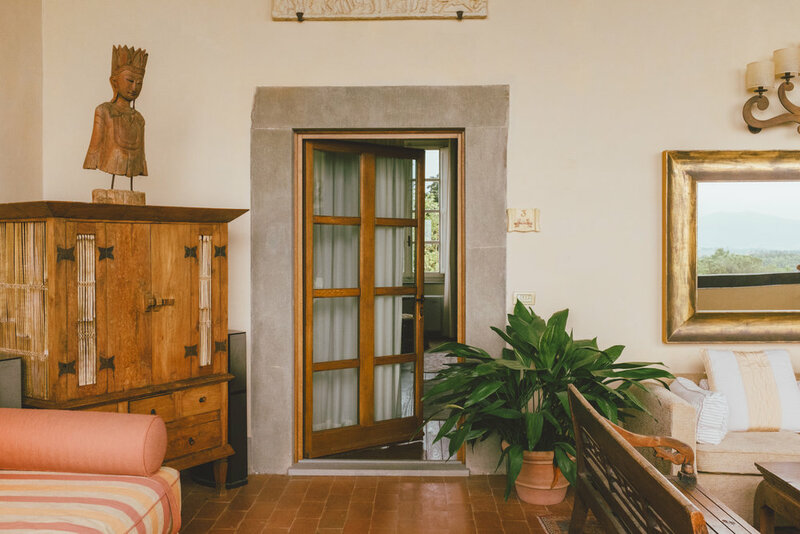 Known for its beautiful landscape, rich history, renowned wine, beautiful villas - like the one I stayed - it’s no secret why Tuscany is one of the most famous regions in Italy. Last month, I embarked upon a solo road-trip adventure through the rolling hills of Chianti, Tuscany – A lifelong dream of mine! The experience left me loving Italy even more. Is that even possible? 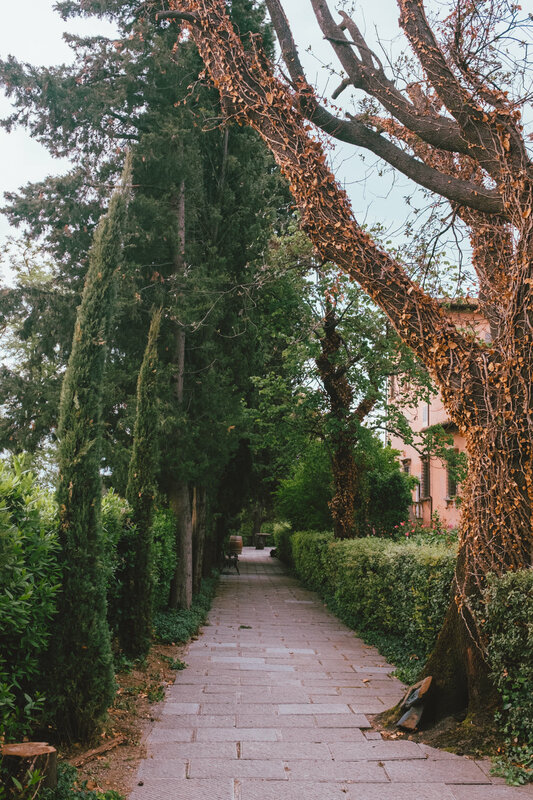 My journey began in Florence where I picked up my Fiat 500 – of course – and started driving to my villa – located near the San Casciano in Val di Pesa town. As I drove from busy Florence into the countryside, the classic Tuscan landscape started emerging. Paradise! Driving solo in Tuscany? Be warned! The breathtaking views make it almost impossible to concentrate on the road. Right before arriving, I spotted my Tuscan villa on the hills amid acres of vineyards. It was love at first sight! I couldn’t resist but stop and snap a few – ok, more than a few – photos of the villa. 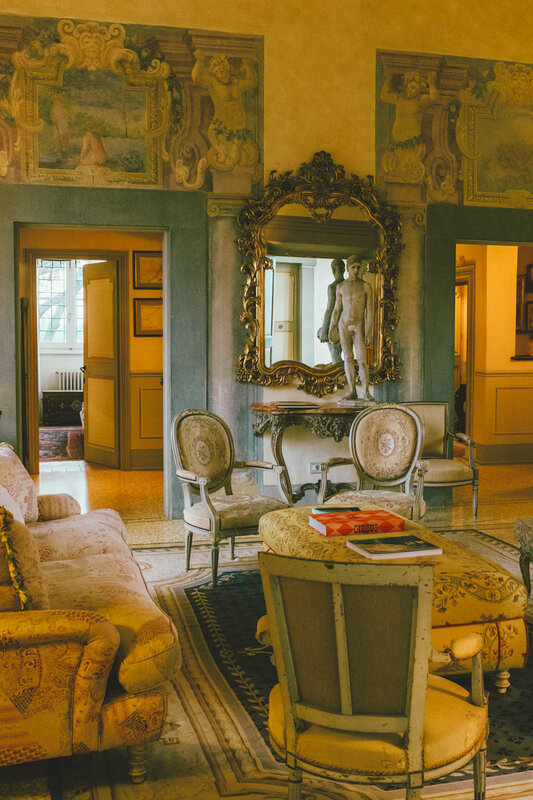 The stunning villa overlooks a classic Tuscan landscape and Florence in the distance. In addition to a beautiful garden and stunning views, Villa Mangiacane has two pools and a spa – next level perfection! 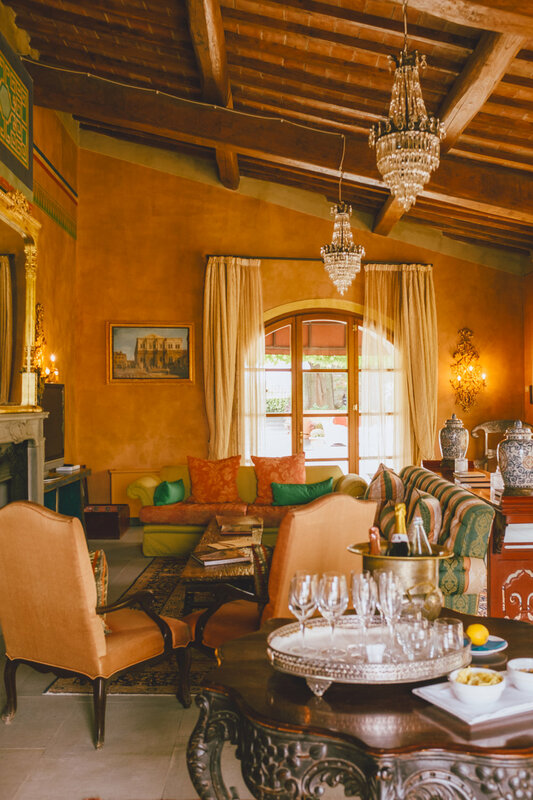 The villa offers 28 individually designed rooms with breathtaking views of the landscape or vineyards. I stayed at the main villa at one of the Terrace Suites. 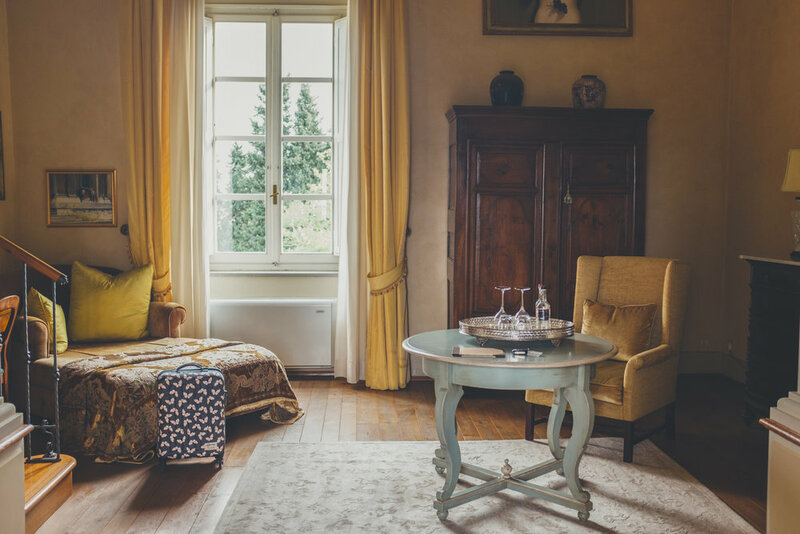 The two-story suite offers a beautiful view of the garden and semi-private terrace where you can admire the landscape and even spot Florence in the distance! The room was beautiful and nicely decorated with unique artwork. If you want to feel like an Italian princess, this is the place for you. I was about to visit the nearby town for dinner, but I couldn’t let the opportunity pass by and so I dined at the Mangiacane restaurant. With world-renowned Tuscan chef Francesco Lagi in charge and fresh locally sourced ingredients, you are guaranteed delectable and authentic Tuscan cuisine. 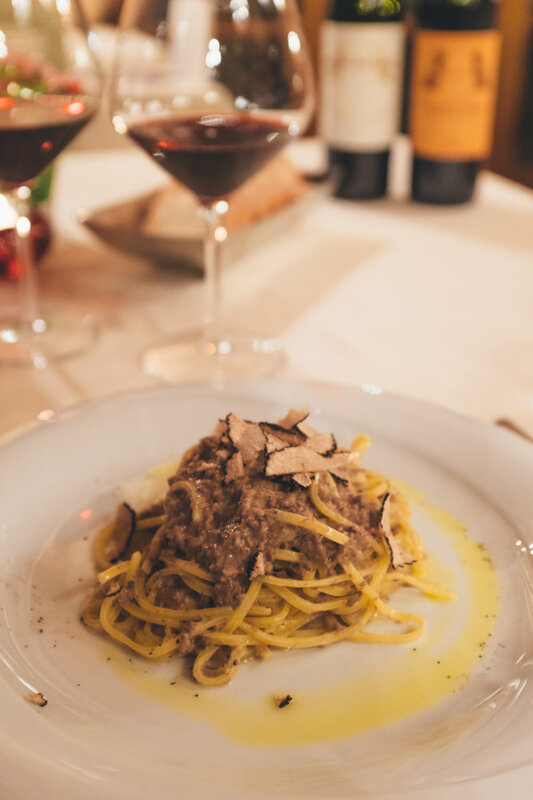 If you are a big fan of truffle, make sure to dine here during truffle season. Chef Lagi prepares the most – spoiler alert - exquisite truffle dishes! Villa Mangiacane produces three awards winning wines and renowned olive oil, which I got to enjoy during my stay. You can also schedule wine tasting if you are not staying in the villa. I’m always eager to wake up early just for breakfast, but at Mangiacane, it was extra indulging. You can take a stroll through the backyard and make your way to the restaurant. Enjoy breakfast in the restaurant or outside by the garden, your choice! How idyllic is that? 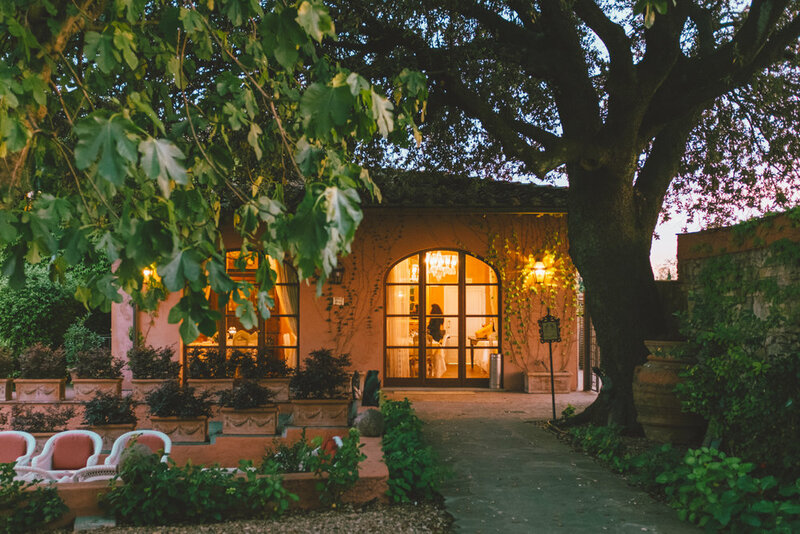 Grab a glass of one of their award-winning wines, sit on the balcony, and enjoy the view and colorful Tuscan sunset. LIFE IS INDEED BELLA IN TUSCANY! Villa Mangiacane kindly hosted my stay. As always, all opinions are my own. PIN IT IF YOU WOULD LIKE TO STAY AT VILLA MANGIACANE!